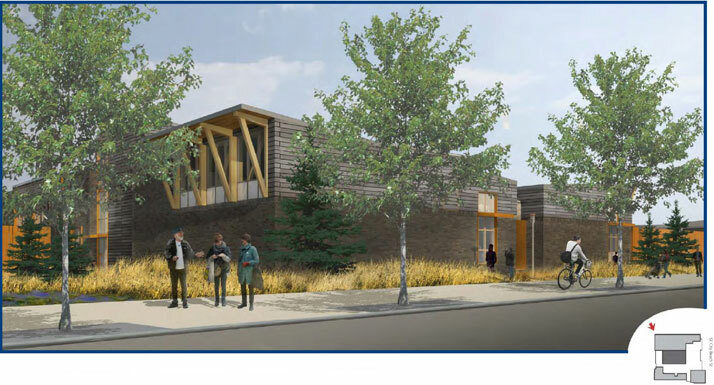 After gaining feedback through workshops, open houses, and an online forum, City Council approved the final Clean Water Facility architectural design on May 5, 2016. You can read event summaries and see design documents on the Library page. 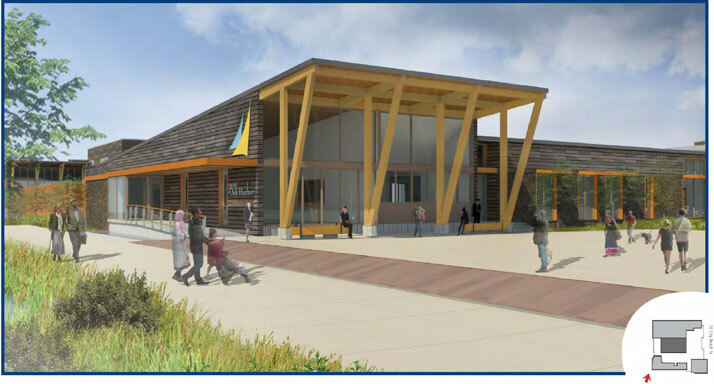 To see the intermediate design for Windjammer Park, visit the Park page. Community members prioritized glass and vertical windows to create an inviting space. Overhead conceptual view of the future Clean Water Facility from the southwest corner. 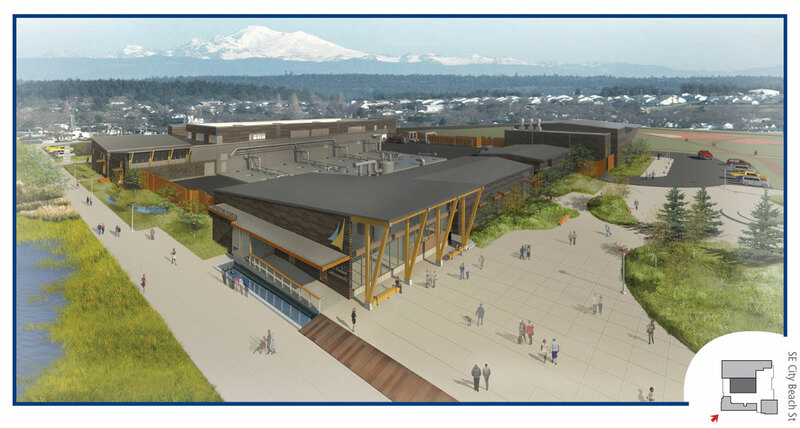 The project team used wood materials and angular lines inspired by Oak Harbor’s architecture and Pacific Northwest design. 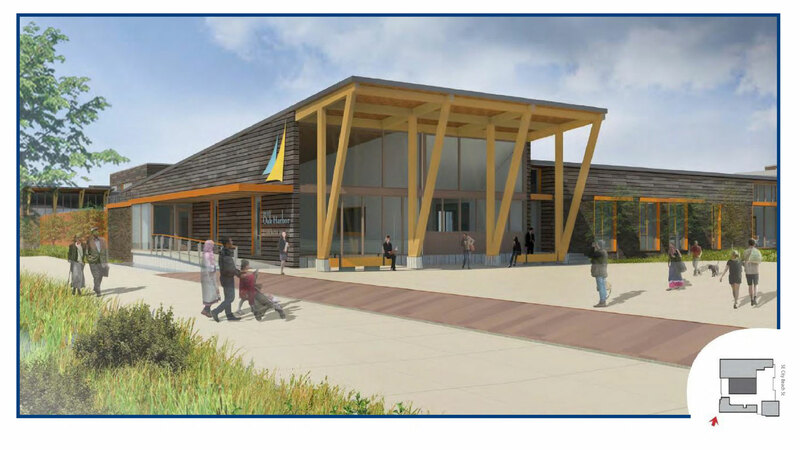 Conceptual view of the future Clean Water Facility from Windjammer Park. Fences will use vertical, separated elements instead of solid material. The fencing breaks up the building façade, reducing its visual impact. Conceptual view of the future Clean Water Facility from Windjammer Park near SE City Beach St. 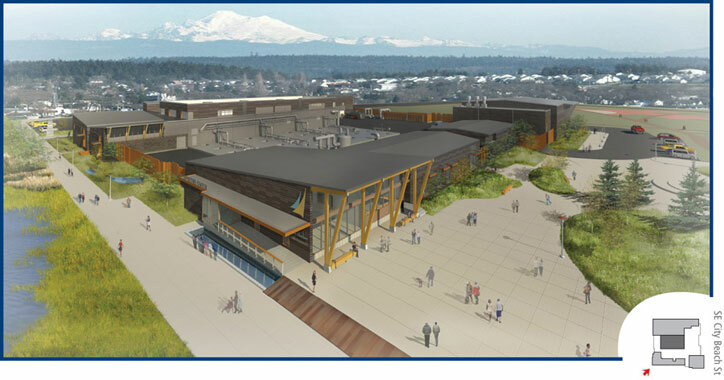 Conceptual view of the future Clean Water Facility from SE Pioneer Way. 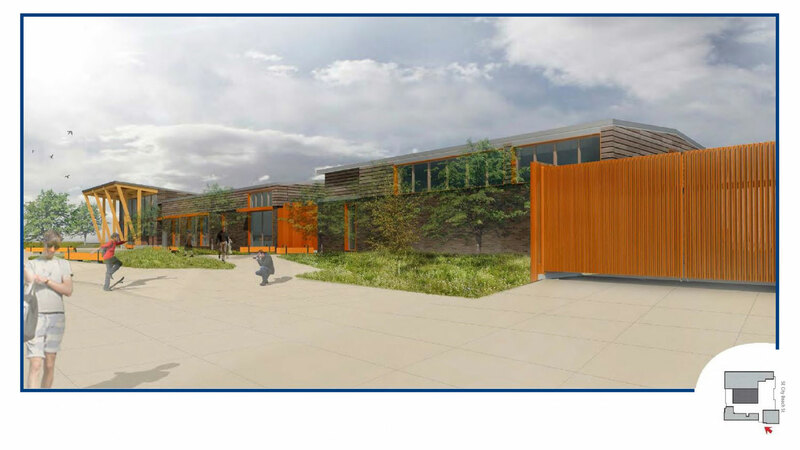 The future Clean Water Facility will include an interpretive center where visitors can learn about the facility, Public Works, and reclaimed resources. 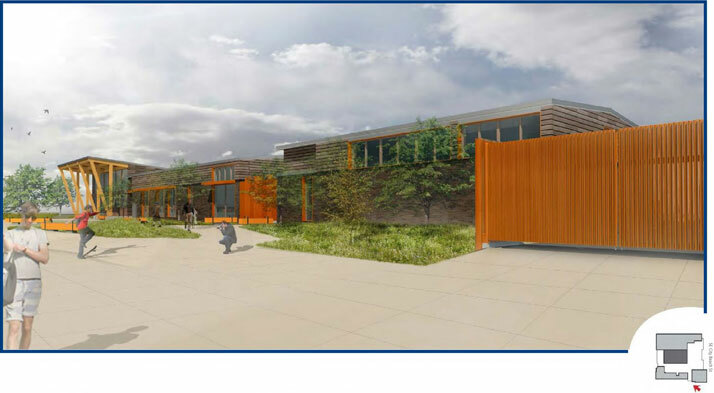 Additional content for the interpretive center will be decided as the facility nears completion and will be based on community input received during design. 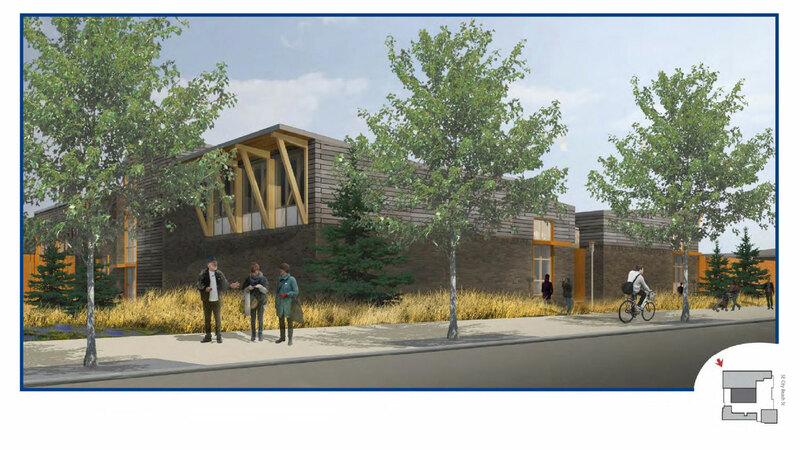 Conceptual view of the interpretive center on the southwest corner of the facility in Windjammer Park. Charette (focus group) members encouraged the design team to move forward with an open and transparent concept showing buildings that appear separate, but cohesive. Overhead conceptual view of the future Clean Water Facility from SE City Beach St and SE Pioneer Way.